Applications for the 2015-2016 Jacksonville University student media leadership positions have opened! Students interested in these year-long positions and accompanying scholarships should complete the attached application and email it to Dr. Therese O’Connell ([email protected]) no later than Friday April 3, 2014. Interviews will be conducted by the JU Media Board during the week of April 6-10. The editor-in-chief of “The Navigator” is responsible for overseeing all editorial content published in the paper and is held accountable for operating and accurate and ethical news source. The EIC will lead the newspaper staff in the publication of 10 print editions throughout the year as well as weekly online editions. To do this, the EIC is required to edit and approve all content that goes into the paper, including but not exclusive to stories, art, letters to the editor and opinion columns. The EIC is the only student that can control publication of editorial content in the paper. Therefore, he or she is responsible for maintaining the paper’s integrity and image on campus. Strong editing, fact checking and judgement abilities are essential to success in this position. The EIC must schedule, attend and lead all Navigator meetings throughout the year. He or she is responsible for hiring students for staff editorial positions, such as writers, photographers, and section editors, and reserves the right to dismiss students from those positions when necessary. Each print edition, the EIC is responsible for addressing the student body in the form of an editorial column. In addition to editorial responsibilities, the EIC will organize all technical aspects of the paper’s operation. This includes scheduling print dates with Florida Sun Printing and ensuring high print quality throughout the year, going with business manager to meet with advertisers, managing paper distribution after each publication, attending all meetings with the JU Media Board, and resolving any issues with administration that may arise. The EIC is also responsible for maintaining the shared student media website judolphinmedia.com. As the leader of largest and oldest student media on campus, the EIC is responsible for representing “The Navigator” with a professional and respectful demeanor at all times. Negotiate with printers and observe the contract carefully. Work amicably with the faculty advisor and staff. Draft a budget that itemizes all intended expenditures to present to the Media Board; accounting for and not exceeding the budget for the project. Recruit a staff to share all aspects of the publication process including publicizing the Aquarian, receiving entries, evaluating the literary and artistic submissions, setting deadlines for publication, preparing the copy for the printer, distributing the Aquarian to students, notifying students whose work was accepted for publication and arranging for the presentation occasion and other events. In selecting an Editor for the Aquarian, preference will be given to applicants with some publication experience and a record of participation in creative writing or arts. Publicize the Aquarian through social media and the Aquarian website. Aid in receiving entries, evaluating the literary and artistic submissions, preparing the copy for the printer, distributing the Aquarian to students, notifying students whose work was accepted for publication and arranging for the release party and other events. Design and assemble a professional quality magazine and submit it to the printer by the determined deadline. Assist in negotiating with printers and observe the contract carefully. Design all promotional materials for submissions, events, and recruitment. Oversees label operations and is responsible for development and implementation of yearly goals with Dr. Olson and the board. These activities include publicity and marketing plans, radio promotions, and recording needs; works with label offices to create new opportunities for Dolphinium including booking and management services; supervises label staff, and reports to Dr. Olson. Assists the President in label operations and is responsible for organizing. The VP is in charge of publicity activities, strictly enforcing deadlines on publicity and media contacts, maintaining publicity databases and supervises label staff in marketing area. Technically minded individual capable of overseeing our recording sessions, live shows, and cooperative technology ventures. Manages and maintains our equipment, and is in charge of supervising student use of the equipment. Assists Dr. Olson with tracking, editing, and setting up live sessions for Dolphinium Artists. Manages our web presence in consultation with Dr. Olson (Facebook and twitter updates, as well as supervising our website content), and is responsible, in conjunction with the president, with scouting out and reviewing new artists for the label and label showcases. 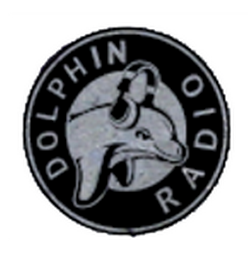 The Station Manager of Dolphin Radio is, first and foremost, a leader for the other staff members and students who operate the station. This individual maintains and improves the effectiveness of the radio station’s on-air and off-air presence. The Station Manager also works closely with the faculty advisor and serves as a liaison between Dolphin Radio and the Jacksonville University Media Board. This position is a very demanding role requiring patience, stamina, and decisiveness. Candidates already involved with the station will be given special consideration, but anyone familiar with the radio industry and/or radio equipment will be considered. Update Faculty Advisor on a weekly basis about the Station’s workings, problems, successes, etc. The Station Manager should expect to work at least an average of 15 hours a week into station presence and management. The Finance Officer is responsible for creating, managing, and updating Dolphin Radio’s budget and finances. This individual will keep invoices and records of all expenses, payments, and deposits made to the station’s account. The Finance Officer is also in charge of completing Purchase Orders, Departmental Deposits, and other University forms. Candidates already involved with the station will be given special consideration, but anyone familiar with the radio industry and/or radio equipment will be considered. Is familiar with the By-Laws and the University Guidelines for Student Media, as well as making sure the station maintains compliance with these By-Laws. The Finance Officer should expect to work at least an average of 9 hours a week into station presence and management.